Check out this jungle cat I saw in a parking lot yesterday! 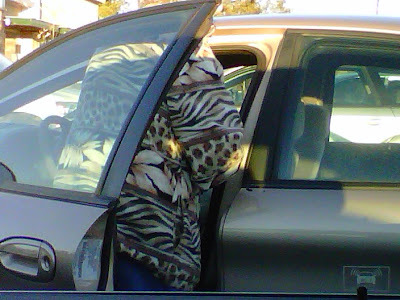 I'm not typically in the habit of taking pictures of innocent old ladies, but this fleece had so much going on that I had to document it. 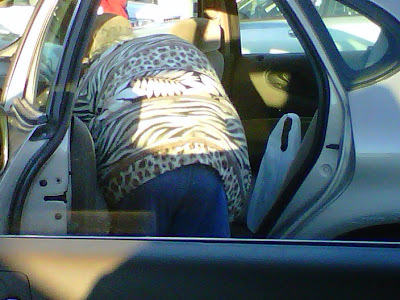 Not only is this an animal print fleece, it has 2 sets of animal prints AND a leafy camouflage layer! This is just one more reason why Spring can't come soon enough! Literary Agents get in line!